Bravery, friendship and the magic of an unknowable universe combine in this extraordinary adventure from the heart. Great for fans of Frank Cottrell Boyce and David Almond. Halo Moon loves stars, and the night sky is full of them in her remote Yorkshire village. It's a place where nothing interesting ever happens, let alone a catastrophe. 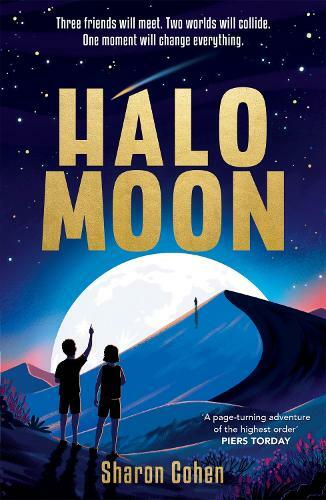 HALO MOON is Sharon Cohen's second novel. Her first novel, THE STARMAN AND ME, was highly commended for the Branford Boase Award 2018 and shortlisted for the Essex Book Awards 2018. It has also been shortlisted for the East Sussex Children's Book Awards 2019 and nominated for the Northern Ireland Book Award 2019.